LOCAL students are urging fellow peers to cut class on Friday as part of the controversial climate change strike taking place in cities and towns nationwide. 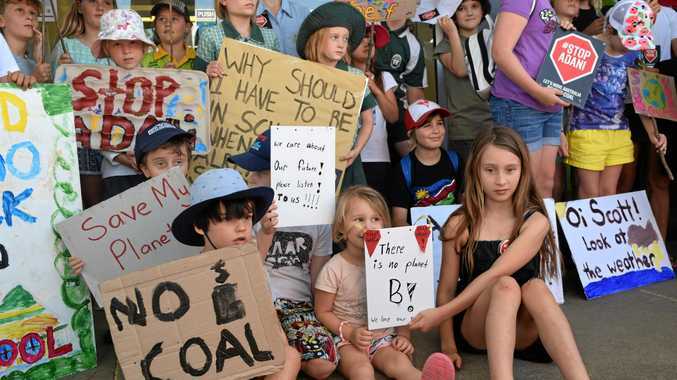 The rally, following on from the first held in November, is calling on politicians to take urgent action on climate change and Adani's Queensland coal mine. Year nine Toormina High School student Billie Denman is a co-organiser of the local event set to be held at Rotary Park. "The situation we are in right now with climate change cannot wait until we finish school,” Ms Denman said. "The schools aren't allowed to promote students leaving the school, so we've been handing out flyers. Fellow co-organiser, Year 12 Coffs Harbour Senior College student Caitlin Zugajev, said adults are also being urged to join the rally. "I will be striking because if we don't take urgent action now, my future, among with the rest of my generations future, will be seriously damaged,” she said. Last year more than 100 students gathered at Coff St before marching through the CBD and meeting with local MPs. The action was spearheaded by local student and award-winning slam poet Solli Raphael. The strike last year drew the ire of PM Scott Morrison who implored children to stay in school. "What we want is more learning in schools and less activism in schools,” he said. The strike will take place at Rotary Park from 10am until noon.